This week sees the release of Marvel Studios latest summer blockbuster and phase two finale, Ant-Man. With the star quality of Michael Douglas and Paul Rudd, it’s not surprising that early reviews tip the new addition to the MCU to be one of the biggest hits of the summer. Much like this year’s other big Marvel Studios release, Avengers: Age Of Ultron, everyone’s favourite construction toy, LEGO, have continued their long-standing relationship with Marvel and extended their highly successful LEGO Marvel Super Heroes range to include Ant-man. 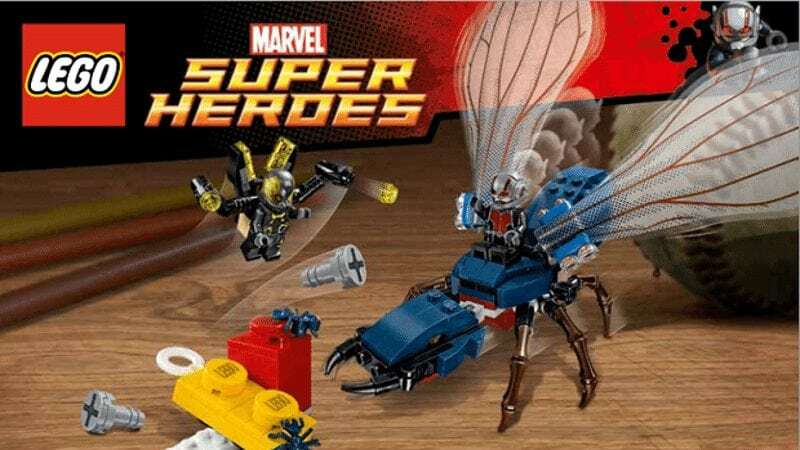 What is surprising though is that unlike other Marvel releases, the toy company have only released the one set for their newest addition, LEGO Marvel Super Heroes – Ant-Man Final Battle. Given that I’m yet to see the movie, my assumption is that the inspiration for the set is based around the Ant-Man vs Yellow Jacket battle we see glimpses of in the trailer – which also sees the brilliantly acted and well-timed cameo from a certain tank-engine. I’m a huge LEGO fan and an even bigger Marvel fan so I was always going to own this particular set but if there’s one thing that got my attention it’s the minifigures included. Inside the box, you will find three minifigures; the main villain of the piece Yellow Jacket, Scott Lang’s Ant-Man and original Ant-Man Hank Pym. So that’s the movie’s bad guy, the titular superhero and his mentor, played by Michael Douglas in the movie, that’s quite a collection for a £20 set and one that is exclusive as of movie release day. Surprisingly, the best minifigure out of the three isn’t the hero, it’s actually Yellow Jacket as the most accessorized fig I’ve seen in a while. Those familiar with the Marvel character, and more importantly the look in the upcoming movie, will know that his suit is equipped with two extendable “stingers” which shoot energy bursts. The LEGO incarnation of the character is both loyal to that design but with minor modifications to make the character more child-friendly, the stingers are far less menacing – much like the Doctor Octopus minifig from the Spider-Man range. The torso and legs are impressively detailed front and back, with a similar look to the Ultron minifigure from the Avengers sets but with the signature yellow and grey mix we’ve seen in the movie promotion. The helmet is a unique new mould specifically designed for the character and it is quite frankly, awesome, with a main grey shell and translucent yellow across the front with extra details which add to the sci-fi look. The only disappointment with this character is the head used. Given the amount of time and effort that has gone into the overall design of the minifigure, it is a shame that LEGO chose to reuse a very bland Star Wars Old Republic trooper head. Luckily, this doesn’t ruin the look as the helmet looks so great on the fig, there is no need to take it off. On to our the titular superhero of the piece, Scott Lang’s Ant-Man. 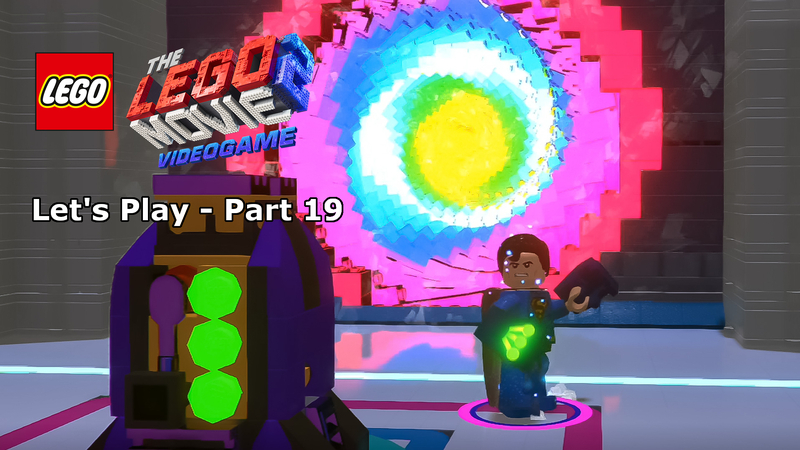 With the modernization of the character on the big screen, this minifigure has very little of the look that comic book fans will be familiar with. The design of the torso and legs follows what we’ve seen of Paul Rudd’s suit in the movie promotion with a black and red suit design which even includes impressive detail on the control belt. Lang’s helmet is again a new mould, with a grey shell and translucent red eye and earpieces (which, while designed brilliantly, seems odd given LEGO minifigs lack of ears). It’s a little disappointing that LEGO designers haven’t quite followed the movie’s design with a full masked helmet and instead opted for an open mouthpiece, it’s not entirely surprising though given the head that is included. Again, despite the incredible detail that has gone into the design of the suit, the head is recycled from a LEGO Star Wars character. This time it’s Ezra Bridger’s head from the Star Wars Rebels sets, the only reason I assume this face has been chosen is the dual facial expression, one a cheeky smirk, the other a concerned look, both fit the character well, based on Paul Rudd’s movie version. 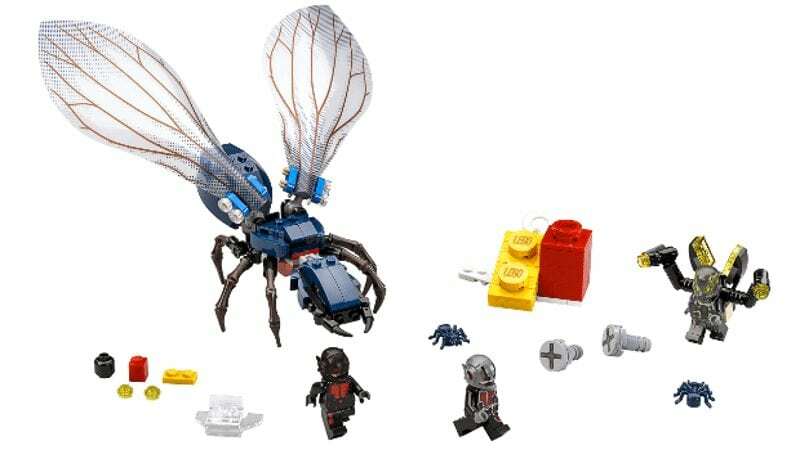 The third minifigure in the set is an interesting one, Hank Pym’s Ant-Man. Given that up until now Michael Douglas’ Pym has only been seen on-screen as an aged scientist and mentor to Scott Lang, could this be a spoiler for the movie? There has been a lot of talk about a flashback scene in the movie showing a younger Pym and so initially I thought that was the reason for its inclusion in the set. On closer inspection, however, the minifigure has an old man’s face suggesting that it is, in fact, Michael Douglas as he is now, so are we getting the original Ant-Man on one last mission in the movie? 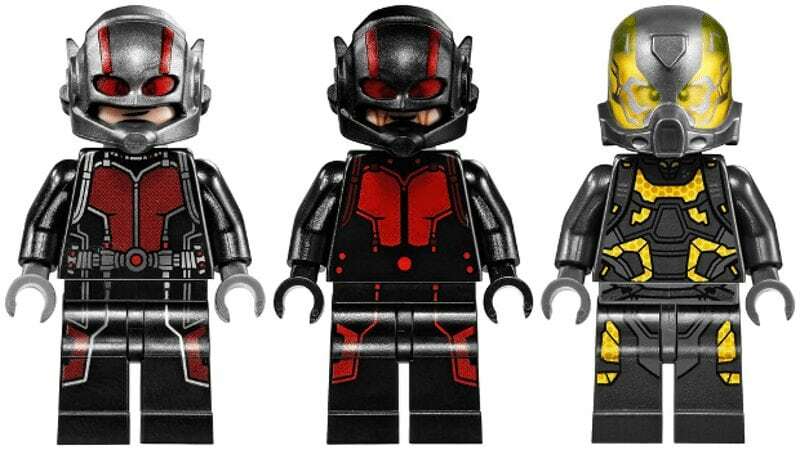 Anyway back to the LEGO, the suit on the torso and legs is a simple black and red design which looks very similar to Scott Lang’s but with a little less detail, maybe indicating this his Ant-Man suit is less modern and advanced. 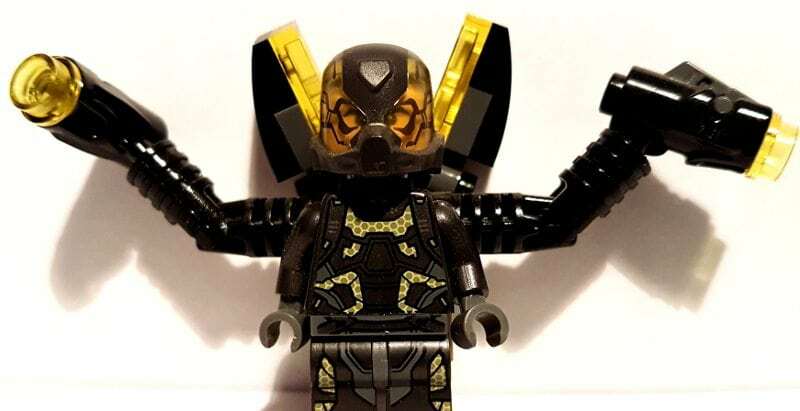 The helmet is identical to that of the other Ant-Man minifigure but with a black shell replacing the grey to match the overall look of the main body piece. Again we are treated to the translucent eye and earpieces to allow the facial features through. The main build of the set is the signature giant flying ant that again has been a big selling point with the movies promotional pieces. Originally I had a few concerns with the design of the wings given that they look fairly flimsy if there is one thing you don’t want from LEGO is easily damaged pieces. Thankfully my concerns were proved unfounded, the wings, which are unique to this set, are built with a surprisingly thick, sturdy and yet flexible high-quality plastic. The build of the ant itself is impressively simple given how complex the finished product looks. With the help of my seven-year-old daughter, we were able to put this together in a little over 10 minutes and the best part about it? No stickers! Once built, the model is extremely versatile, whether you’re playing or displaying there are a number of pieces you can adjust. Firstly, the main body of the ant is made up of three independently built sections (much like the body of an ant), which are connected by hinges allowing you to pose the head or back sections in a number of different angles. In addition, the wings are connected to the main section of the body using the same ball connections we’ve seen used in things like the Hulkbuster shoulders, allowing the freedom to set the wings to almost any position. The six legs are all connected to the main section of the body and each of them can be rotated into position independently, though the back legs control the majority of the balance of the ant so take that into consideration when arranging your display pose. On the front of the ant we have the pinchers which can be moved in and out and are definitely sturdy enough to hold a minifigure in their grip. There is also an exposed 4×4 block on top of the main body to allow a minifig to securely ride the ant. All in all a great design and build, it’s strong, versatile, easy to construct but much more importantly, the giant flying ant looks superb. 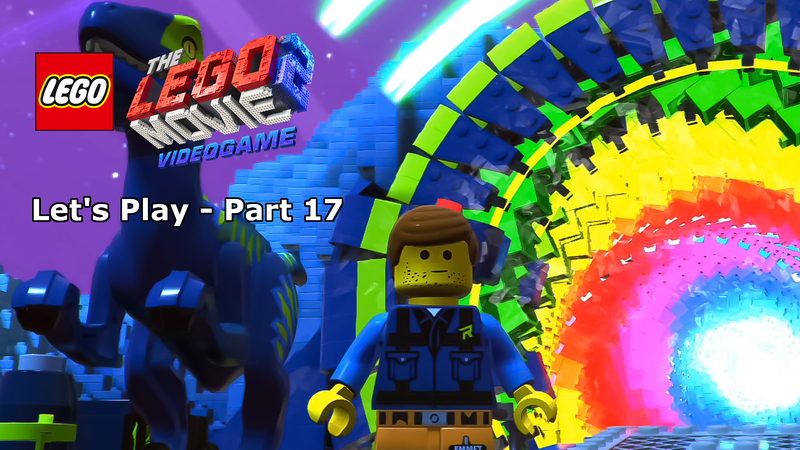 In addition to the minifigures and the giant ant, the set also includes a couple of scene-setting pieces. One of the builds is a catapult made up of two giant LEGO bricks and screws. While only minimal in design and including the dreaded stickers, this is still a nice touch which sets the characters in the reduced size setting (if the giant ant didn’t do the job alone). The catapult is a very simple build, taking only minutes to put together and will definitely add value for the younger LEGO fans who actually intend the play rather than display. Also included are a couple of small plastic ants, the kind that used to turn up in the LEGO Indiana Jones sets but had all but been discounted. They’re nice as background noise but don’t add much to the overall set given the discontinuity in size when compared to the other characters. Also included is a super jumper, essentially it’s a see-through spring-board which you can connect minifigures to, from what I’ve seen of the latest LEGO Batman sets, this appears to be a growing trend with the comic book sets. 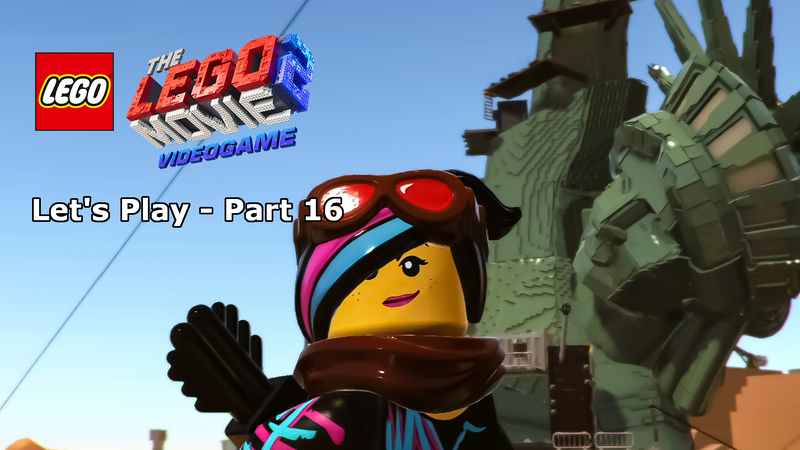 Overall LEGO Marvel Super Heroes – Ant-Man Final Battle is a great set for its price range. 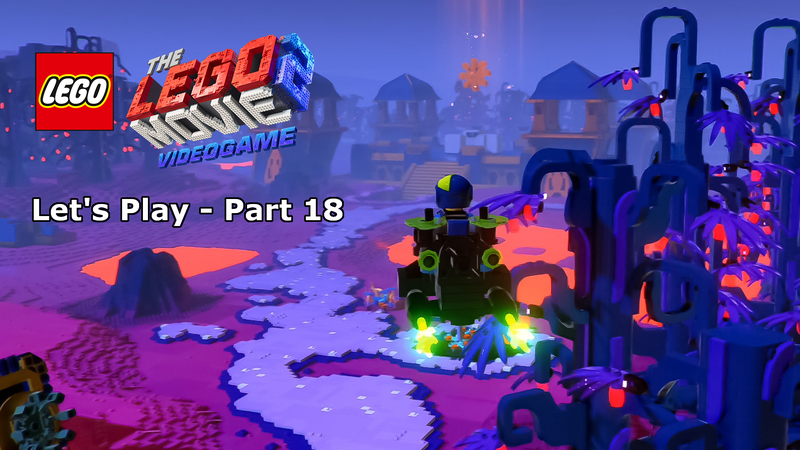 Despite only having 183 pieces, you will never feel like you’ve been ripped off simply because those pieces are used so well. 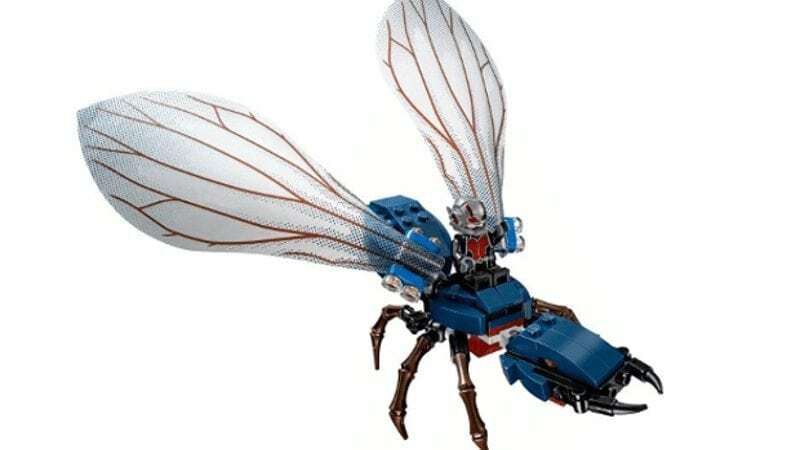 The three minifigures included are exclusive to the set and cover the three main characters from the movie and the giant flying ant just looks superb with an amazingly high-quality build. The set isn’t perfect though, the additional pieces seem like an afterthought and the reuse of established minifigure heads seems a little cheap. That said, this is still worth your money whether you’re buying for a superhero mad child or as a LEGO collector yourself, the design quality, build ease and time and overall playability make this a must-have set. The additional set pieces seem more like an afterthought than specifically designed for the set. At the lower end of the price range, this set is perfect for LEGO superhero fans and Marvel fans alike thanks to the exclusivity of the three minifigures included. For a reasonable price, you get three of the main cast from the movie and very awesome looking giant flying ant. This set was purchased by the author and not provided for review purposes.